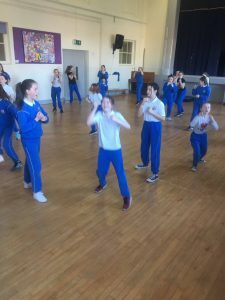 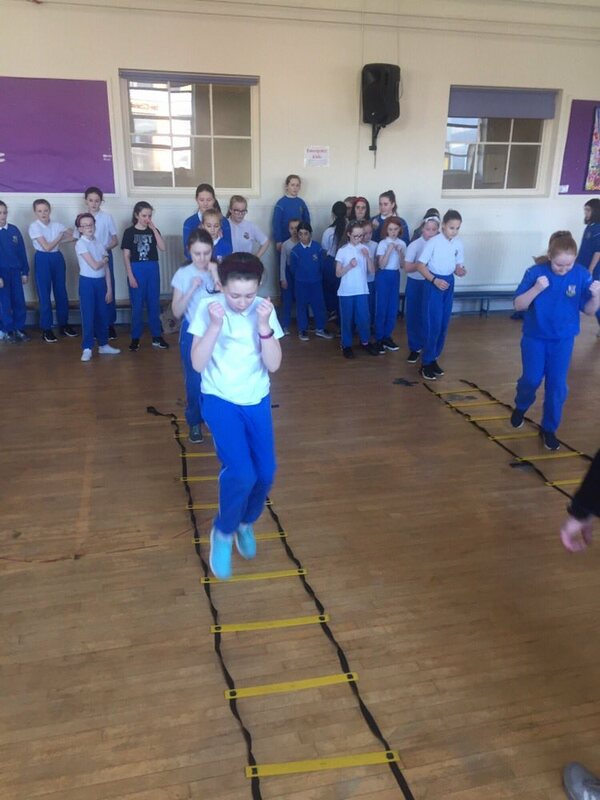 Fifth and Sixth class are getting really fit! Every Friday afternoon they are taking part in fitness boxing classes with Coach Noel in our school hall. The girls are really enjoying all the new skills and moves they are learning from the “boxing in the community” partnership. 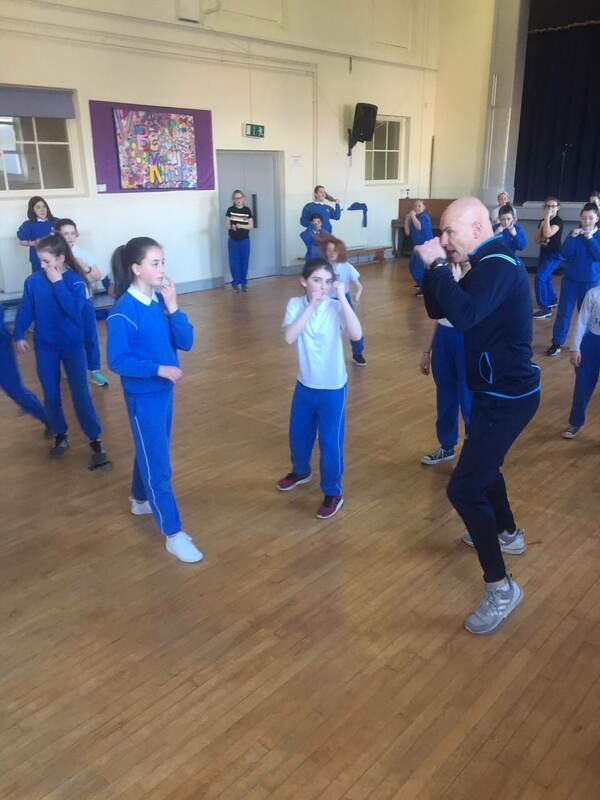 The girls are currently training in The Bronze Programme which represents a non- contact version of boxing. 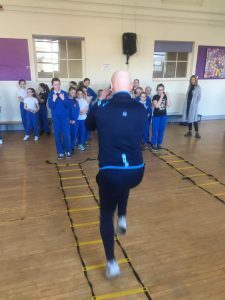 Looking at the pictures we may have the next Katie Taylor in training !